Payroll Services Outsourced Ltd is an established business based in North East England (South Shields), offering an efficient, inexpensive payroll processing service to small/medium sized businesses in the UK with piece of mind that their statutory obligations as an employer are being taken care of. You don’t have to be based in the North East to use our payroll processing services. We currently have clients from north to south of England. Unlike our competitors, our payroll processing service has no minimum payroll run fee. We charge competitive rates and offer discounts for payroll’s with 10+ employees and weekly payrolls. All our clients payrolls are processed using HMRC accredited software and can be processed for up to 100 employees per company. Payroll processing can commence at any time during the tax year, you don’t have to leave it until the next 6th of April to benefit from outsourced payroll processing services. If you’ve already started your payroll for the current tax year forward a copy of your employees details and P11’s and we’ll take it from there. Payroll services Outsourced Ltd provides an electronic payroll service as standard, ensuring that payslips and reports reach you in a timely and efficient manner. Paper copies are also available upon request. With more than 20 years in payroll processing you can be assured that our knowledge will be to your benefit when you outsource your payroll. Why Outsource the Payroll Function Of Your Business? Free up your time to focus on running your business and playing to your own strengths. 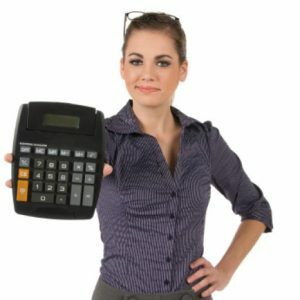 We’re cheaper than employing and training a payroll clerk or paying your accountant to process your payroll. You don’t need to purchase expensive payroll software and additional support or keep it updated. You can avoid the stress of keeping up to date with constantly changing National Minimum Wage (NMW), Real Time Information (RTI) or Auto Enrolment (AE) legislation. No need for you to liaise with HMRC as Payroll Services Outsourced Ltd can act as your agent. Minimise the possibility of financial penalties from HMRC for late/incorrect filing of Real Time Information (RTI) records. How Does Outsourcing Your Payroll Work? Outsourcing your payroll is simple. We electronically submit mandatory RTI data to HMRC. Set up of HMRC PAYE (Pay as you Earn) scheme. Complete and submit to HMRC your End of Year Declaration & P60’s before the 19th April deadline. In addition to our standard payroll processing we can also assist you with the following. Automatic Enrolment – Set up of Auto Enrolment (AE) NEST pension scheme including enrolment, mandatory letters to employees and Declaration of Compliance (if required). Assessing employees, add/remove employees, opt in/opt out employees, process refunds for opted out employees, process pension contributions, produce or upload (if applicable) contribution schedules for pension providers and 3-yearly Auto Re-Enrolment and Re-Declaration. Construction Industry (CIS) Returns – Completion and submission of CIS300 monthly return, verification of subcontractors, CITB levy deductions, subs, advances and payment retentions, subcontractor payslips and payment certificates. Payrolling Benefits in Kind – Add the cash equivalent of employees benefits in kind to their pay and tax them through the payroll. HMRC will amend employees tax codes accordingly. If you choose to use this service, the employer (agents can’t currently do this) must register with HMRC before the start of the tax year. Form P11D for the benefit’s payrolled will no longer require completion but form P11d(b) must still be completed and Class 1A national insurance contributions paid as usual.